Applied Ergonomics is a concise text focusing on the practical applications of ergonomics and is derived from the annual, ground-breaking, successful conference of the same name. This is not a conference proceedings but a text of applications, filling a niche in the ergonomics professional market for a book that is strong on the applications side of the field rather than the purely academic. This book covers a range of topics related to applications in engineering, medicine, and health & safety, and incorporates a number of case studies and examples. The book is split into a number of thematic sections which focus on support and service jobs, ergonomics in the office, health management and design. 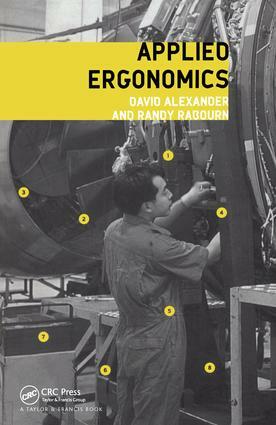 Within these sections are chapters on the use of the Internet, ergonomics programs, and the economics of ergonomics. Those involved with the application of ergonomics techniques will find this collection both informative and interesting.